Over the past several years, there have been numerous attempts at “reforming” basic education in the Philippines. These initiatives include, inter alia, the proposals of the 1991 Congressional Commission on Education (EDCOM); the 2000 Presidential Commission on Education Reform (PCER); the 2000 Education for All (EFA) Assessment; the 2006 National Action Plan for Education for All, and the 2006 Basic Education Sector Reform Agenda (BESRA). Private-sector initiatives include programs launched by the Philippine Business for Social Progress (PBSP) and Philippine Business for Education (PBEd). Professional organizations such as the Management Association of the Philippines (MAP) also have programs focused on educational reform. Educational institutions such as the Ateneo de Manila University and the University of the Philippines have their own agendas for educational reform, and recognized scholars such as former U.P. President Jose Abueva and U.P. Sociologist Cynthia Bautista have come up with their own proposals. There is general consensus that our educational system is in dire straits and that it is not up to the daunting challenges of bringing our country into the New Millennium. There is widespread agitation for change. There is no paucity of great ideas and sound proposals for making our educational system more effective in developing the country’s intellectual capital in order to enhance its global competitiveness. It’s time to walk the talk. But who will do the walking? For all the brilliant ideas that have been put forward so far, the inescapable fact is that the responsibility for implementing any reform program rests with the three sclerotic government agencies that are responsible for administering our educational system: The Department of Education (DepEd), the Commission for Higher Education (CHED), and the Technical Education and Skills Development Authority (TESDA). 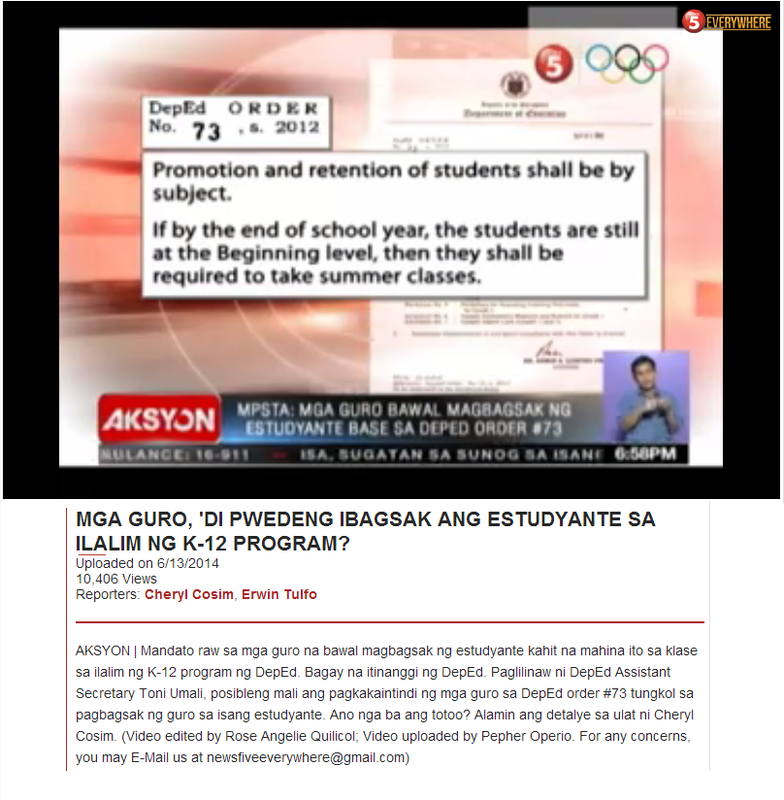 Basic education is under the watch of the Department of Education (DepEd). The question I pose is: Under present institutional arrangements, are we ready to put in place an effective change strategy for moving our dismal educational system forward? U.P. Sociologist Cynthia Baustista has noted in her recent U.P. Centennial Lecture that most of the reform proposals that have been put forward so far were externally generated. This poses a problem because, as a rule, entrenched government bureaucrats are loath to accept proposals for change, especially if they come from outside sources. Doing so is tacit admission of ineptitude and an indication that they have not been doing a good job. This will not look good on their resumes. 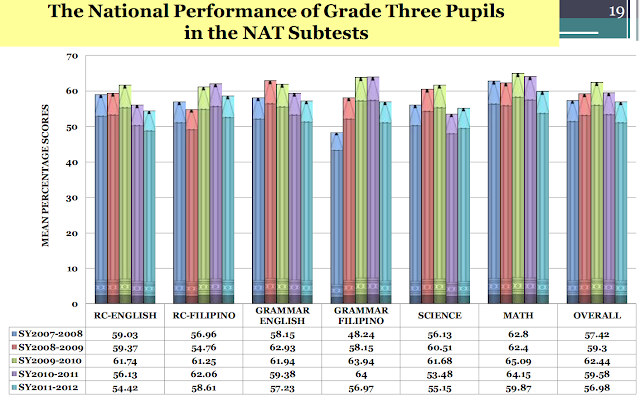 This is not to say that DepEd has been totally remiss in efforts at reforming basic education. For example, it has played a major role in the conceptualization of BESRA and will be its major implementing arm. This initiative has been strongly endorsed by the government, and is enthusiastically pushed by top DepEd officials as well as by educationists in both the public and private sectors. BESRA will be strongly resisted by the System, and is doomed to failure. Here’s why: It will be strongly resisted by entrenched elements in the bureaucracy and by elements outside the system whose interests firmly lie on the status quo. Implementing a change of such magnitude will jeopardize sinecures and endanger personal (i.e., financial) interests. Effective implementation will require empowering lower-level administrators and stakeholders within the community. While decentralization has many advantages, its downsides are easily overlooked. For one thing, it will exacerbate parochialism and turfism which carry the danger that local issues and concerns will take precedence over the larger interests of society and of the community. Successful implementation requires extensive networking arrangements and joint, multi-sectoral decision making. In the past, consortium arrangements and other forms of collaboration and team effort have failed. Finally, the proposed change cannot be successfully carried out unless existing performance evaluation and compensation systems at DepEd are drastically revised. This is necessary to insure that its full-hearted implementation is seen by all as satisfying their own personal and professional interests. This is a tall order considering that the immediate outcomes of BESRA are in the form of investment in intellectual capital which is largely intangible and difficult to measure. The DepEd is a most unlikely candidate for “transformation” in the Philippine bureaucracy. In the many years that it has existed, it has calcified into a hidebound, monolithic– and scandal tainted - institution in the classic Weberian mould. It has gone out of synch with the real world and has become largely irrelevant in today’s knowledge-driven environment. Attempts at transforming such a system are likely to entail huge “switching costs” that society can ill afford.